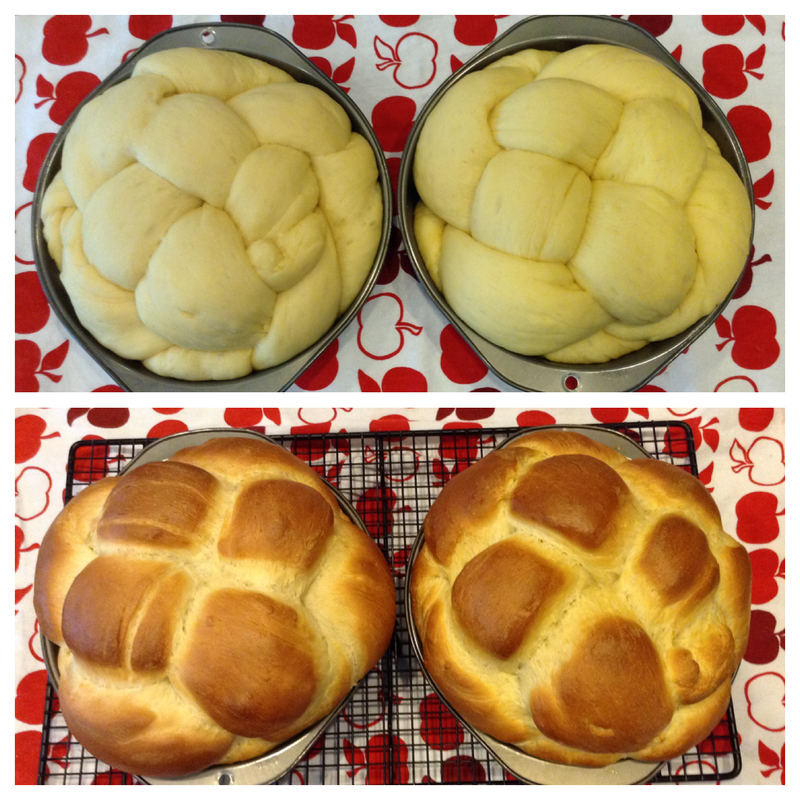 One of the staples of the holiday is round challah, a rich egg bread in a round shape. Yesterday I experimented with creating a recipe for it on my own. Well, not entirely all on my own. I had a ration to work with: 5:3. 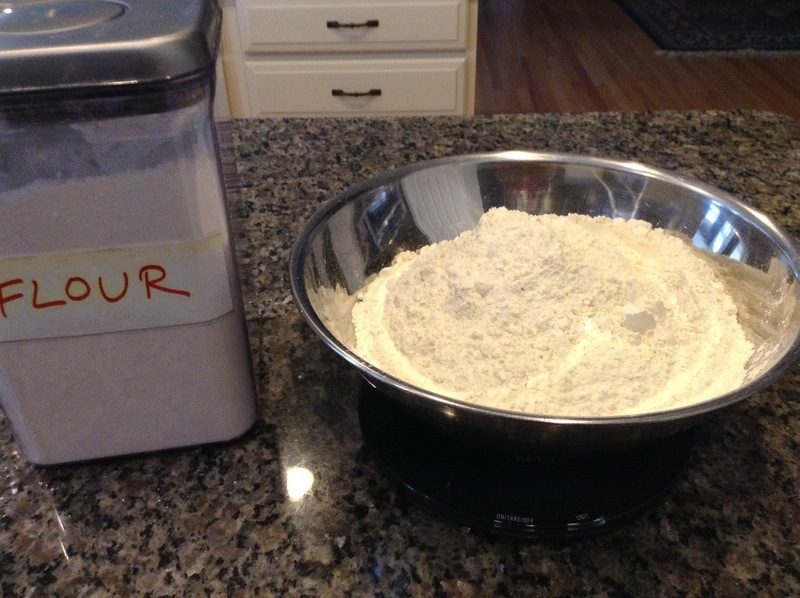 Five parts flour (by weight) to three parts liquid. That, plus the fact that I already know how to make bread (i.e. techniques for mixing ingredients, kneading, etc.) and away I went. That meant I needed 24 oz of liquids. I had 5 eggs left in the box, so I took one of them, separated it, and saved the white to brush over the loaves before baking. Then I threw the rest in. That added up to about 8 oz. 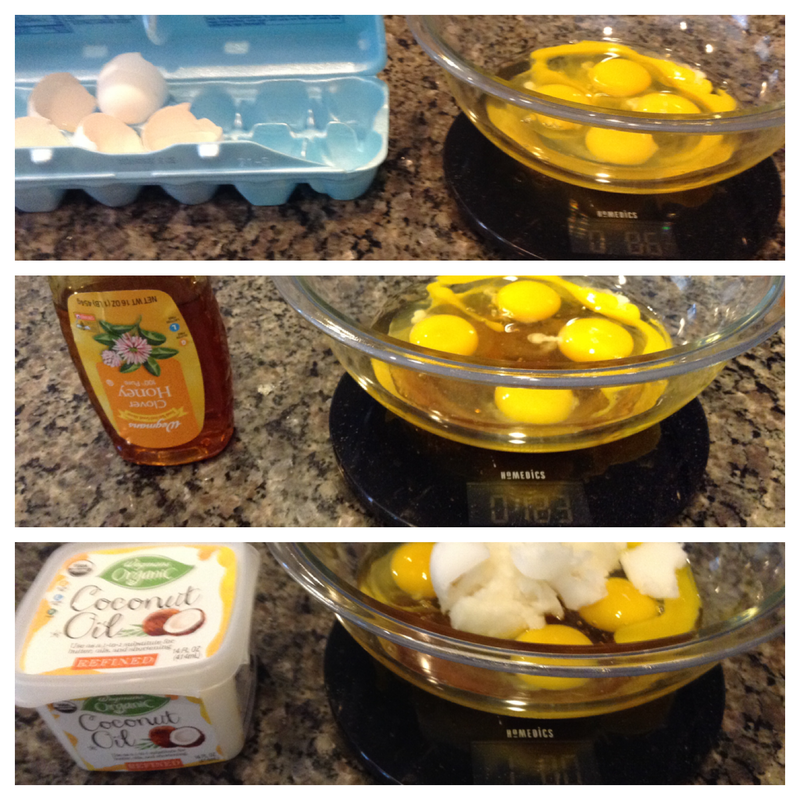 Next I added 4 oz of honey, and 4 oz of shortening. Just for the hell of it, this time I decided to try coconut oil. I usually use butter, but this way the bread would be pareve; neither meat nor dairy, if anyone who cared about keeping kosher happened to eat some. See that plastic yellow thing the size of a miniature painter’s pallette? That’s my secret weapon that I use to mix in the last third of the flour; it’s really more like kneading than mixing, and it works great. 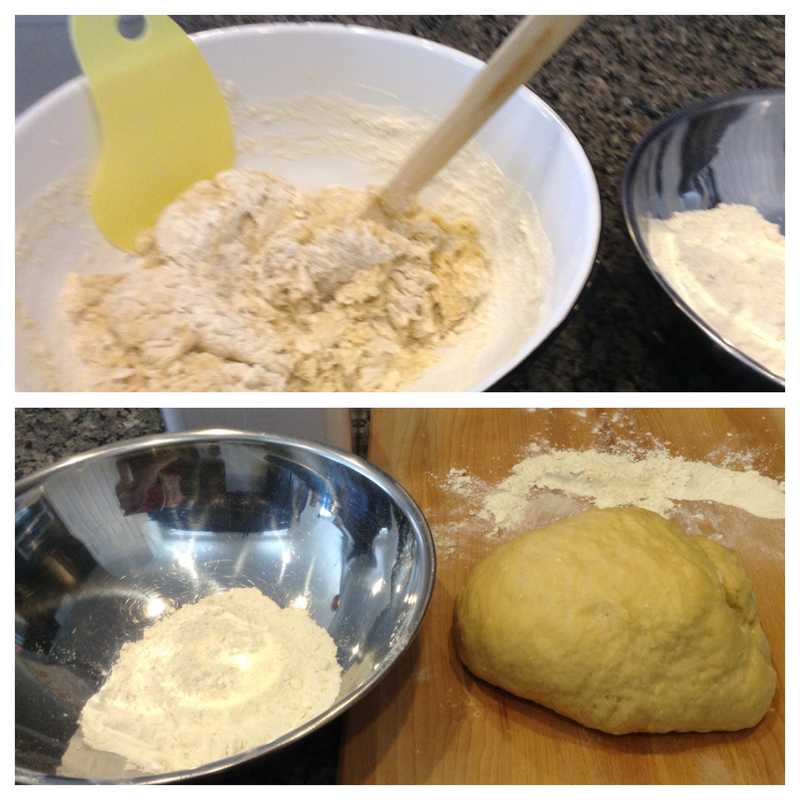 As it turned out, I didn’t actually use all the flour I’d measured out, because I didn’t need to. That’s where the experience came in, knowing when the texture was just right. The end result: it smelled heavenly while baking. The crumb (texture) was perfect. I thought the taste was set enough to, but just the slightest bit bland, likely because of the coconut oil. Next time around I may use peanut oil, unless I know butter will be okay. Butter is always ok at my house! Thanks, still delicious. That looks beautiful! Thanks for sharing. I love making bread. The best tip I ever read for yeast bread was to use a thermometer to make sure the water for the yeast doesn’t exceed 110 degrees because that kills the yeast. Between 100 & 110 is perfect. I put sugar in the water and stir, and I double-check the temperature before adding the yeast. I wrap the bowl in a bath towel to preserve the optimal temperature.Then I run hot water over a hand towel, wring out the towel and cover the bowl. The yeast goes nuts within five minutes. Elle: sounds great, just a little too high maintenance for me. “Good enough” is my goal.